Building on Ami's last post, Syncing Salesforce Changes to an External System with Future/Schedule Architecture, I want to expand on a solution for storing your external systems' credentials securely. 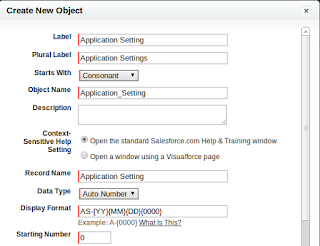 Many times, when developing a custom Salesforce application, there are settings unique to the application that need to be stored somewhere. 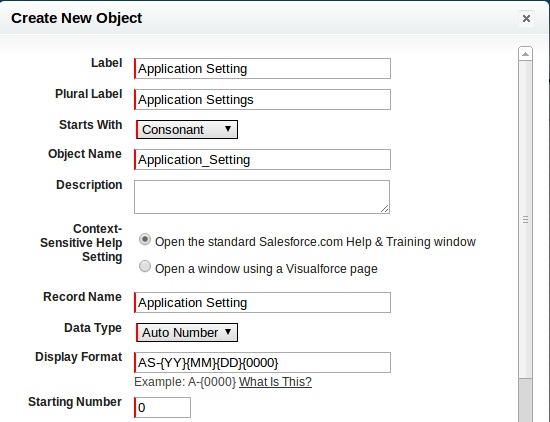 A common solution is a dedicated Salesforce object with the fields necessary to support these options; there will probably be Checkboxes and Picklists that control and shape how the app works. If an external system is involved, you'll probably have additional fields for things like a Username, Password, Token/Cookie, and an Expiration Date of sorts. While this may work for some orgs (in a rush, don't know any better, or just don't care), there are some improvements that can be made. Minimally, this involves making sure that your Profile permissions are in check (you always do, right?). A step up would be the use of an Encrypted Text Field to store your Password. However, if you're developing an Application for the AppExchange, you need a solution that will pass the AppExchange Security review. Before we start building, check out Secure Coding Storing Secrets, particularly the Apex and Visualforce Applications section. It says that when included in a Managed Package, a "Protected" Custom Setting is "only accessible programmatically via Apex code that exists within your package." 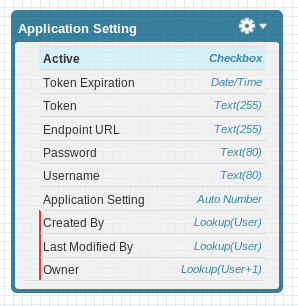 For this blog post, we'll use a Custom Object to store our Application specific settings as referred to above. To maintain usability, we'll keep the Password field, but create a trigger to take the user inputted value, store it in a Custom Setting (as recommended by the Salesforce page), and then mask the Password field on the Custom Object. We'll start out by building a Custom Object to hold our application specific settings, including the expected fields for calling out to our external system. "I'd don't always use the Schema Builder, but when I do..."
"... it looks like this." Next, let's define our App's Custom Setting, where in this post, we'll store our Password securely. You can expand on this and store more or all of your credential details if you desire. Browse to Setup --> App Setup --> Develop --> Custom Settings and click on the "New" button. Provide the basic details for your Custom Settings (like a name that applies to your package and a suitable description). Make sure that you select "List" for the Setting Type and "Protected" for the Visibility settings, then click on the "Save" button. After saving, you should be sitting on the Custom Setting Definition details page for your new Custom Setting. The next thing we need to do is to create our Password field for this Custom Setting. Click on the "New" button within the Custom Fields block. On the next few screens, go ahead and create a new text field called Password. If you've never used Custom Settings before, you should be getting the feeling that they are very similar to Custom Objects. So much like them, that you can even retrieve their records via SOQL queries. We're done with schema changes, so let's take a look again at the process we're building. The trigger will then replace the Application Setting's Password field with 8 asterisks (********). After clicking on "Save" the first thing I should notice is my password will be replaced with "********." So far so good! Now let's check on our Custom Settings. We should have one record, with the password I provided. Let's update the Password and make sure that it changes the Custom Setting and continues to replace the Password in the Custom Object. Notice the LIMIT? That's to avoid another red flag that may occur on your AppExchange Security Review findings report. All queries will need either a WHERE or a LIMIT. That's all there is to it! Adapt, clean, and condense this code to fit your needs and enjoy!